Nightwing returns to the DC Universe this month, once again wearing his classic black and blue outfit. So to commemorate this event, in this clip we list off our Top 10 Nightwing Moments. Justice League Gets New Villains! Brian Hitch talks to DC All Access about what we can expect from the brand new Justice League book, and how it feels handing the art duties to someone else for the first time in his career! In this episode you'll get an exclusive clip from the highly anticipated Batman: The Killing Joke animated movie. Plus, we look at our newest Rebirth comic, Justice League: Rebirth, preview the debut issue of The Flintstones, look at the latest chapters of Batman and The Sheriff of Babylon, and get a sneak peek at the newest Legion of Collectors Box. DC All Access has a sneak peak at the latest DC Comic related TV show, Powerless, debuting soon on the NBC television network. So come on, join Alan Tudyk, Vanessa Hudgens, and Danny Pudi as they discuss what it means to be an ordinary person in a world of extraordinary superheroes. In this clip we catch up with the twisted minds behind the greatest fighting game of 2017, Injustice 2, and find out what we can all expect from this soon to be beat-em-up classic. But that’s not the only game in town, oh no, check out the new Teeny Titans mobile game that puts the power of funny in your hands. 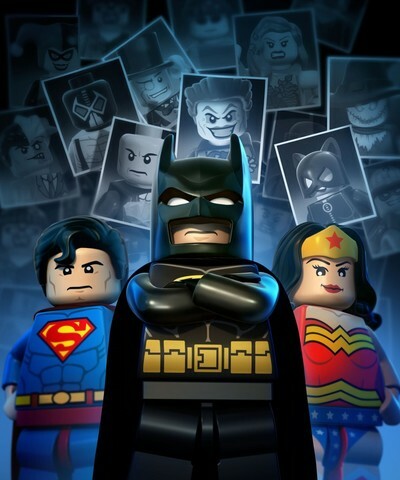 Justice League: Gotham City Breakout is the latest LEGO DC Comics Super Heroes animated movie, and it stars Superman, Wonder Woman, Cyborg and... and... and... uhh! Wait a minute! Where's Batman? Oh, that's right. He's on vacation celebrating his birthday. Certainly nothing will go wrong while he's gone, as you'll undoubtedly see in this exclusive animated clip. 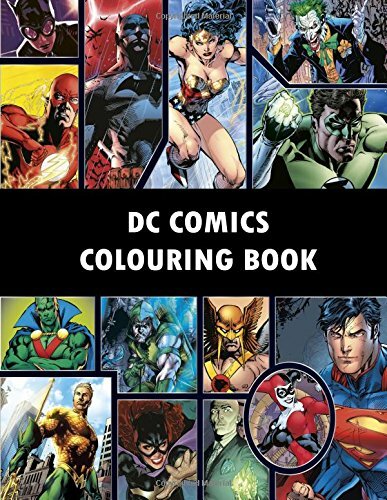 On an end note, you might like to know that DC are producing an action-packed colouring book filled with ready-to-colour illustrations of their iconic characters. From the bright red and blue of Superman soaring over the Earth, to the rich greens and yellows of Wonder Woman's homeland, Themyscira, the heraldry of the Super Heroes is yours to design and colour. Covering all eras from the Golden Age to the New 52 and featuring many of DC Comics' greatest artists and their interpretations of Batman, Superman, Wonder Woman, and more, this incredible colouring book offers hours of creative fun.